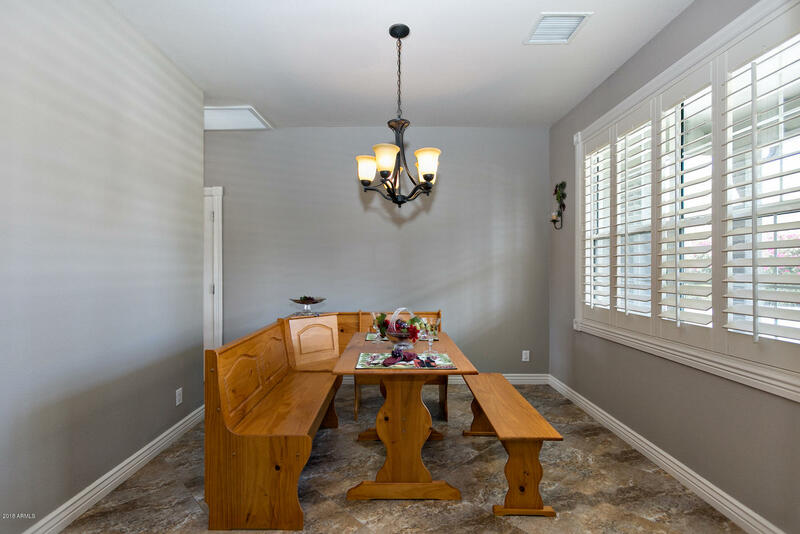 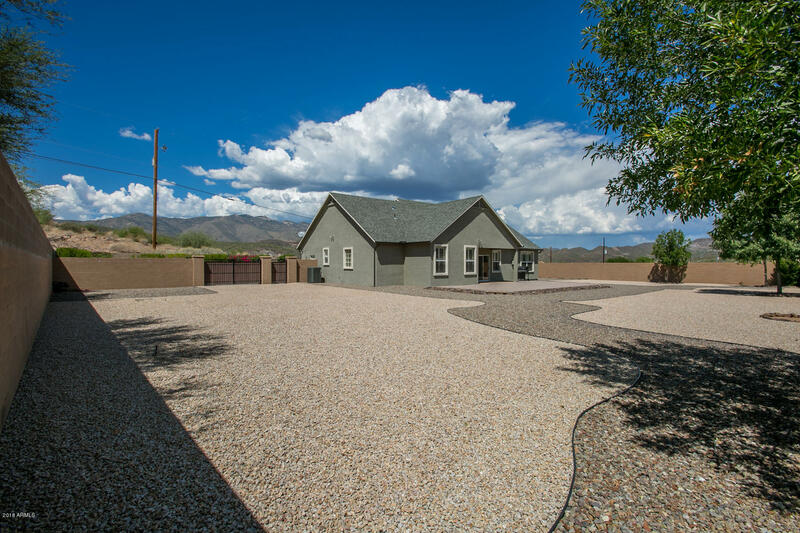 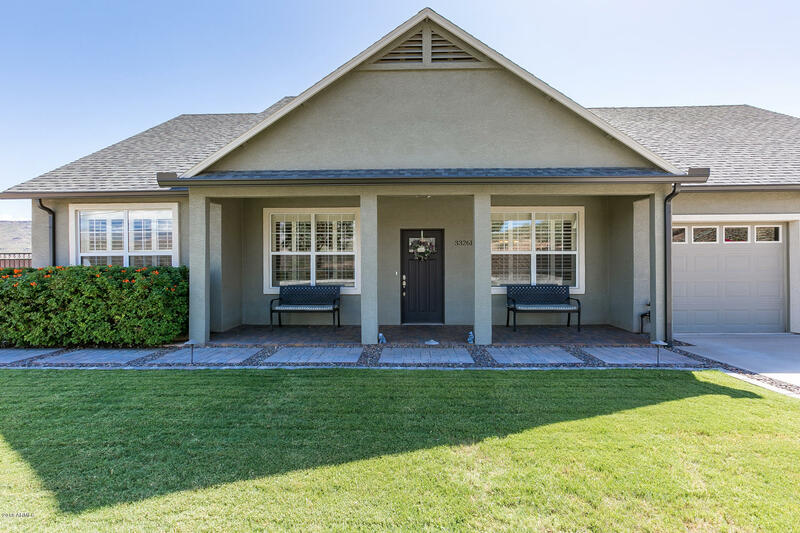 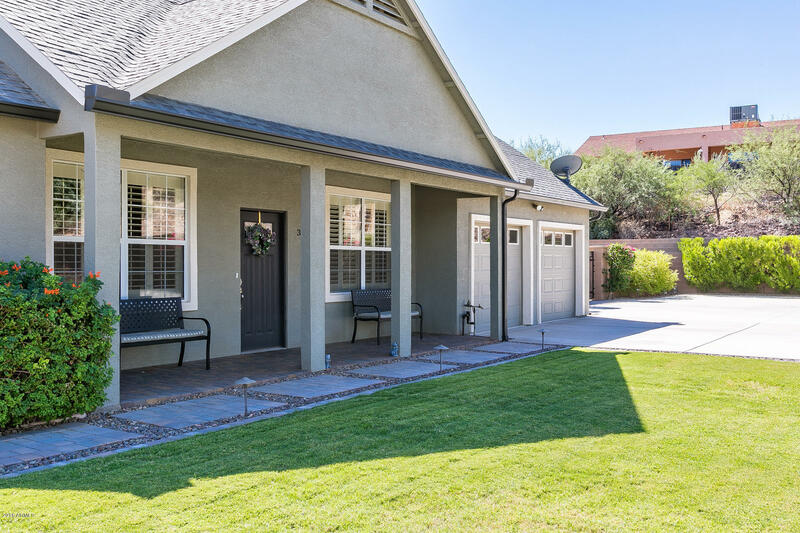 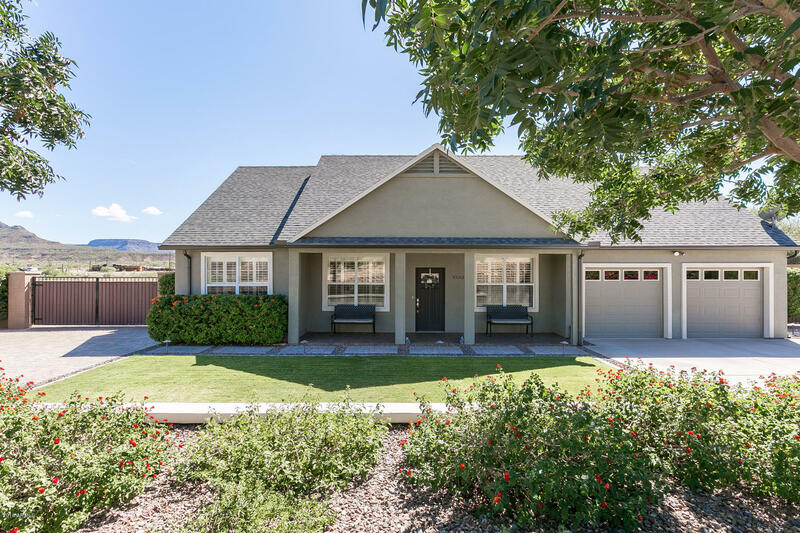 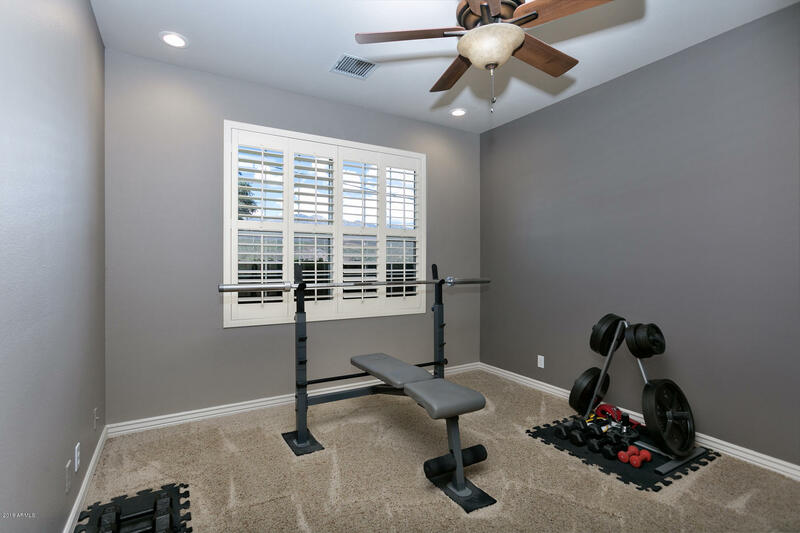 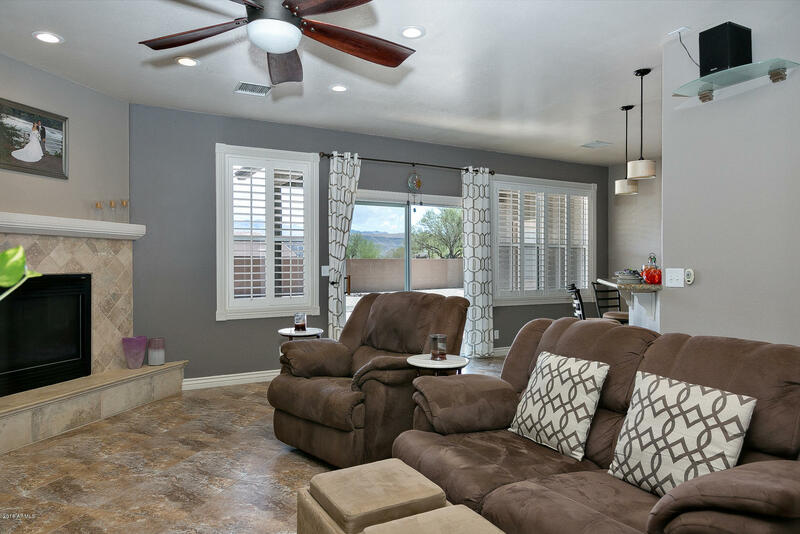 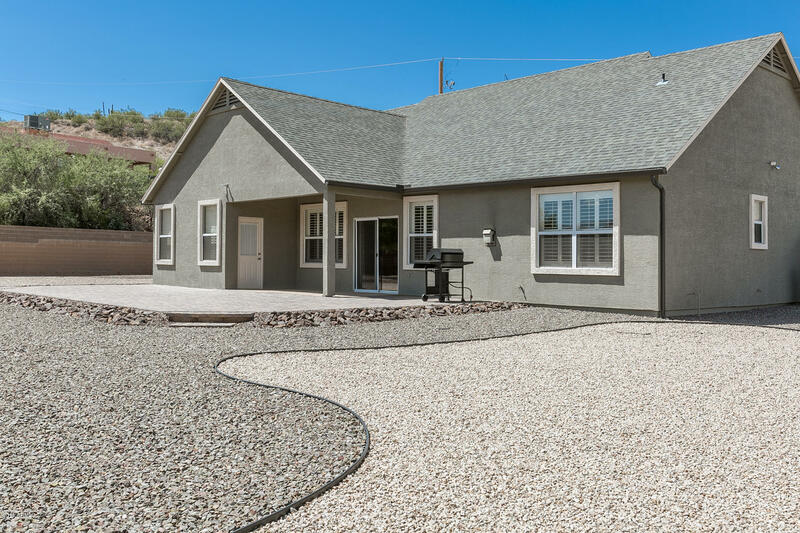 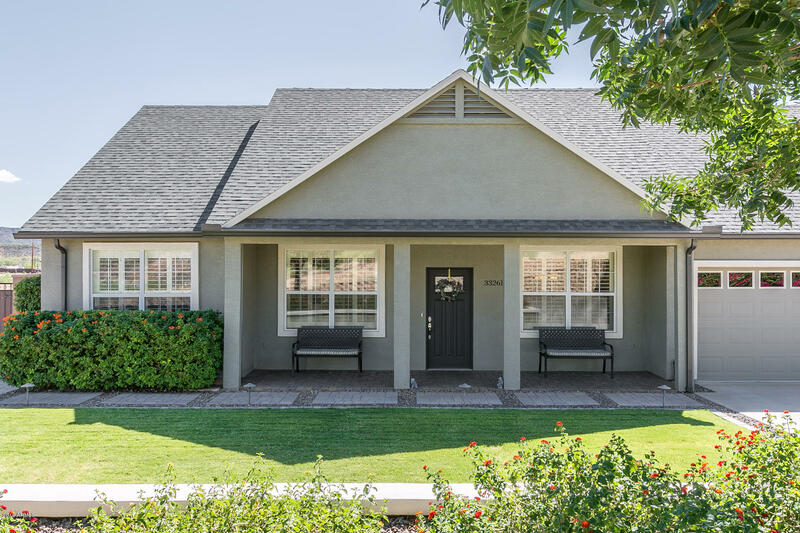 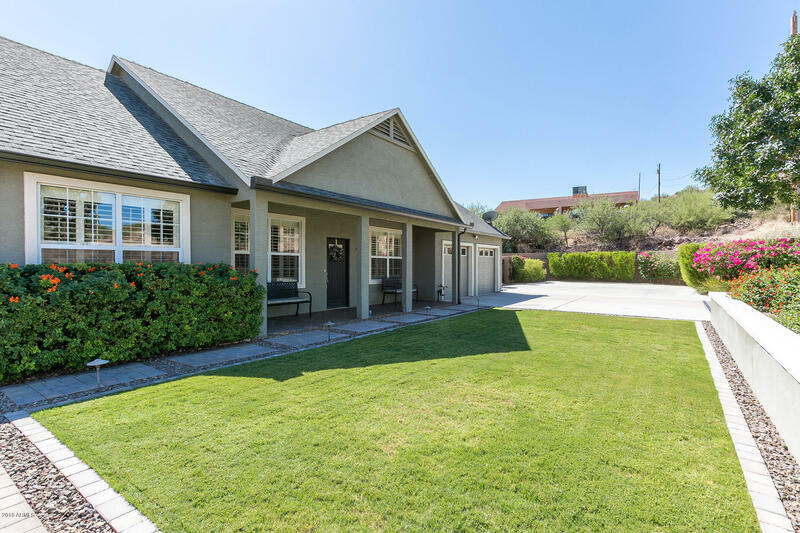 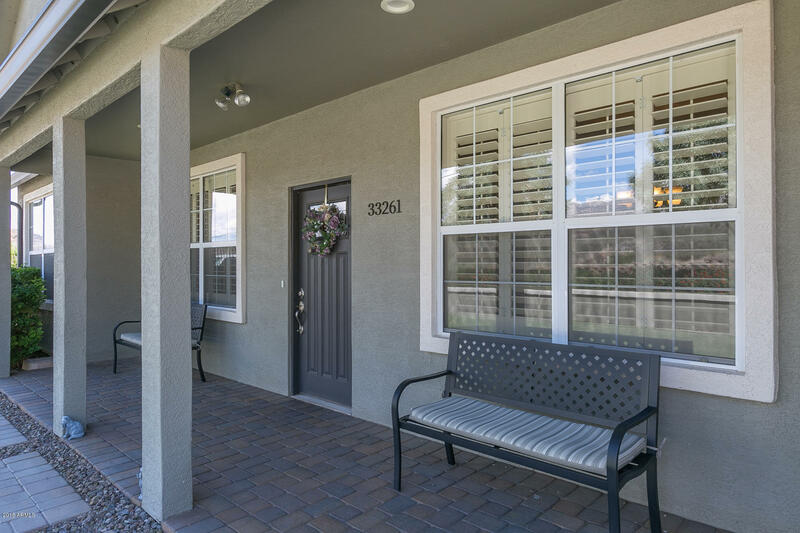 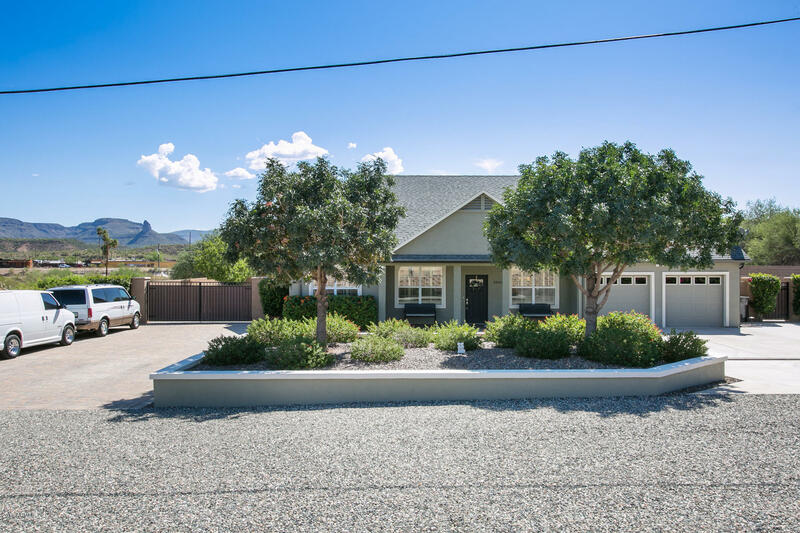 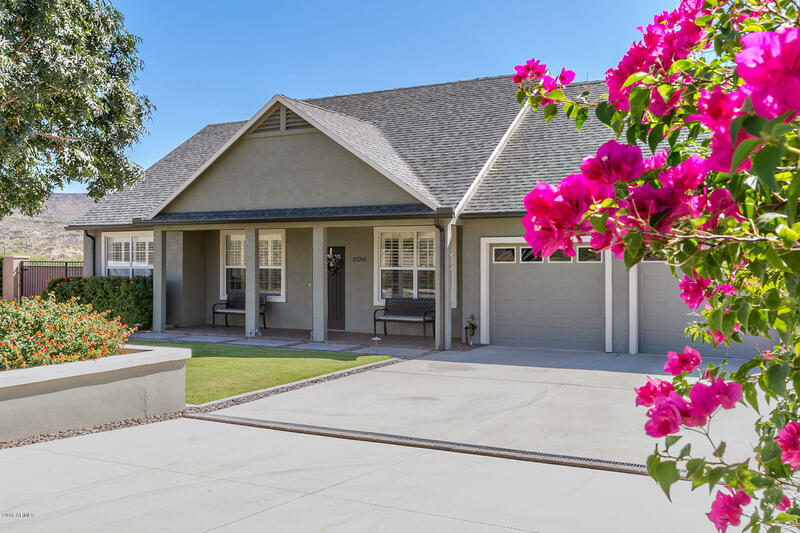 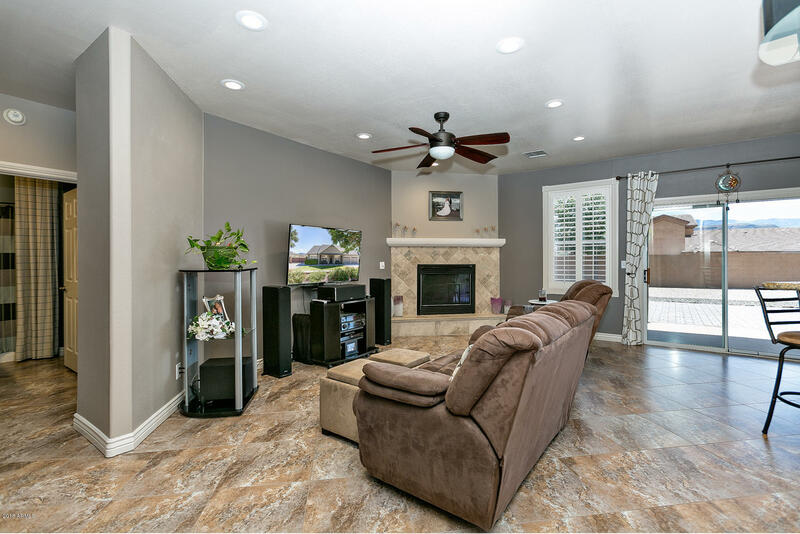 Come enjoy your personal paradise in this 3 bedroom, den, 2 bath charming custom home in Black Canyon City! 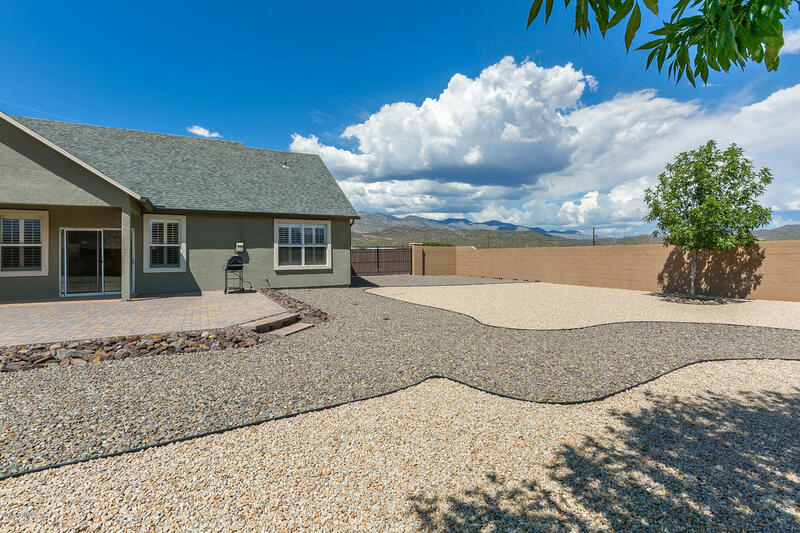 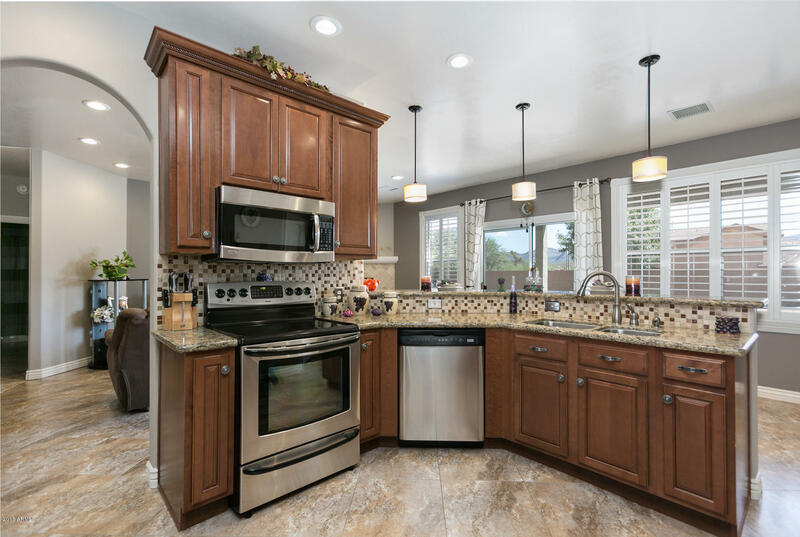 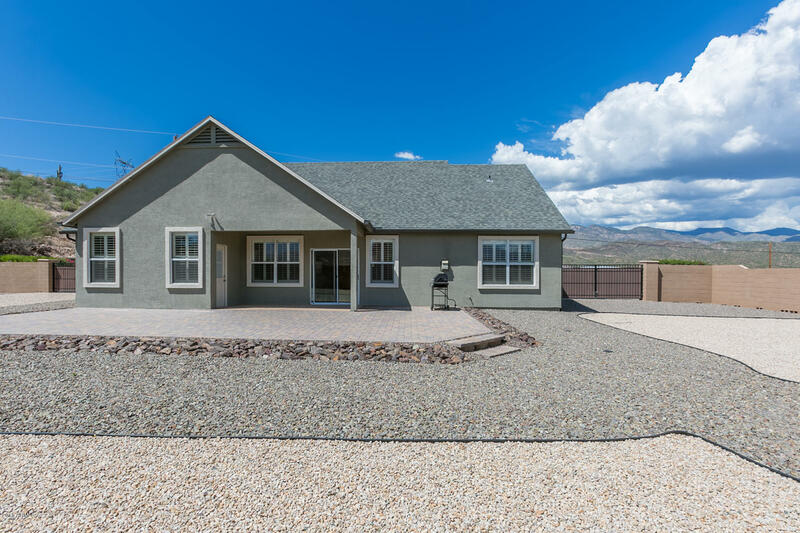 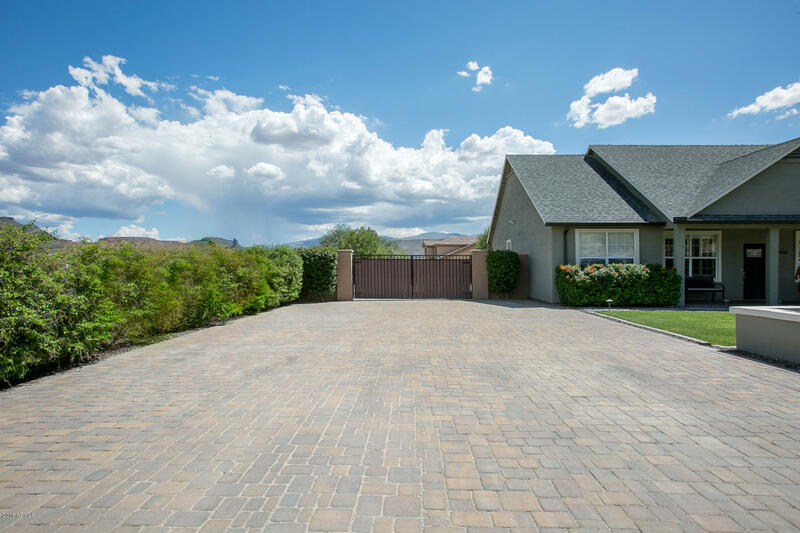 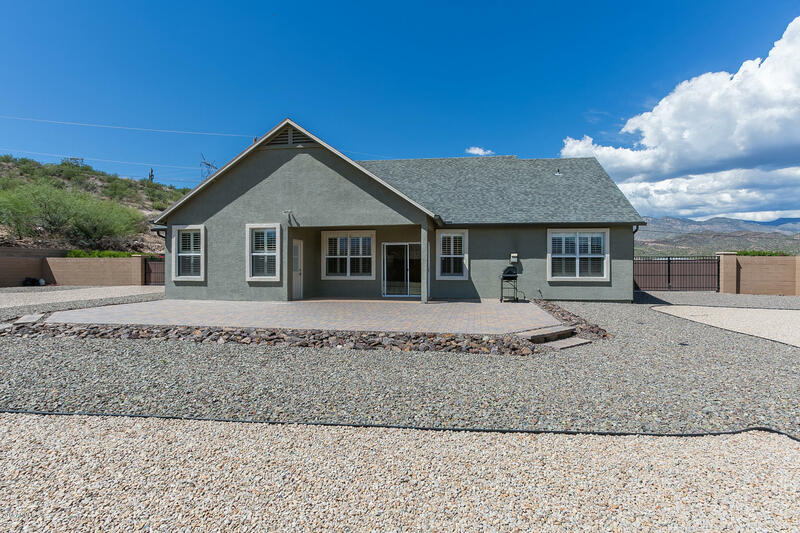 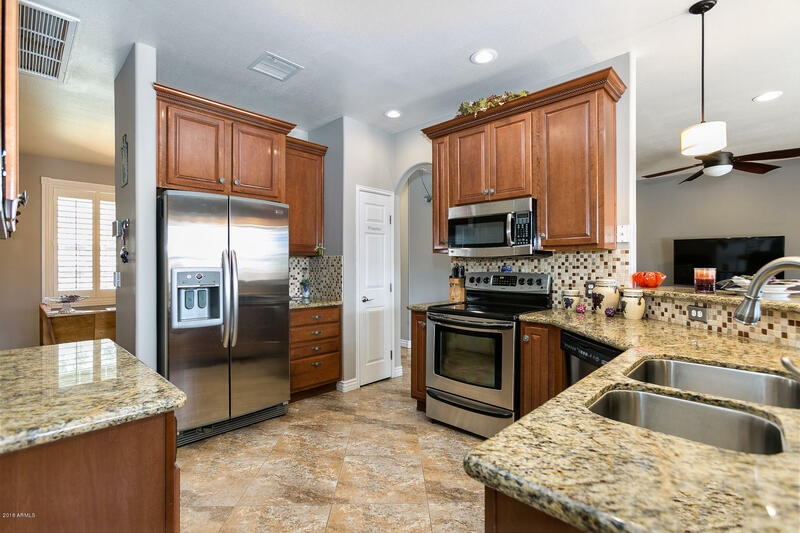 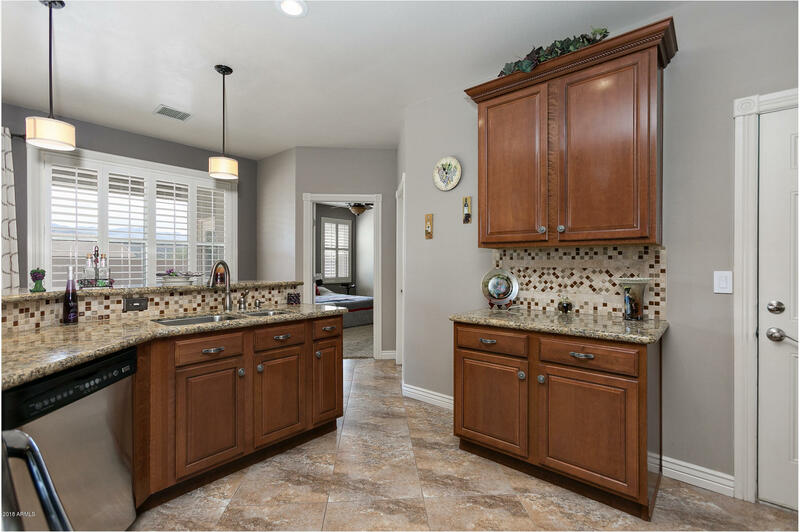 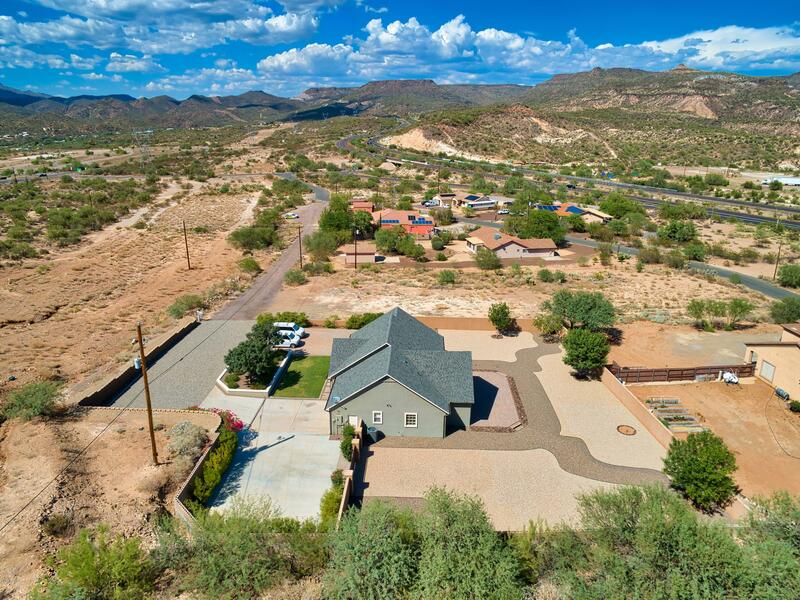 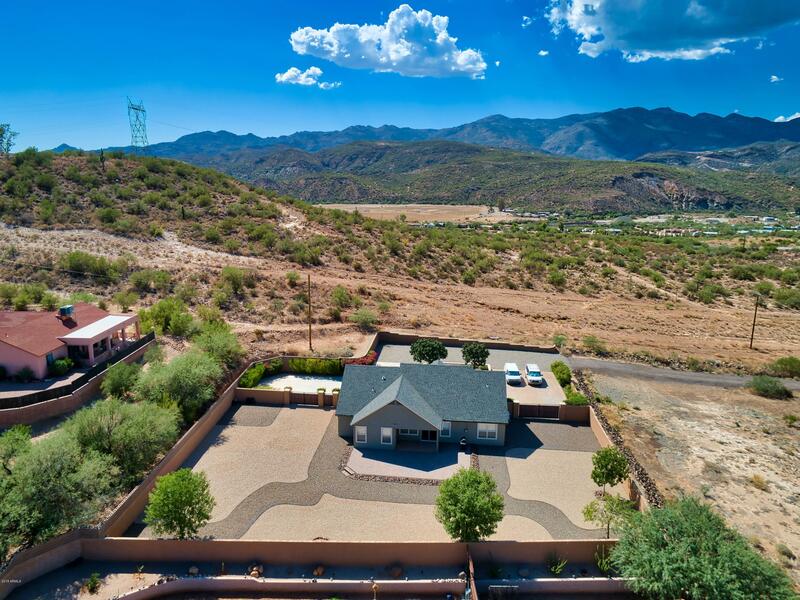 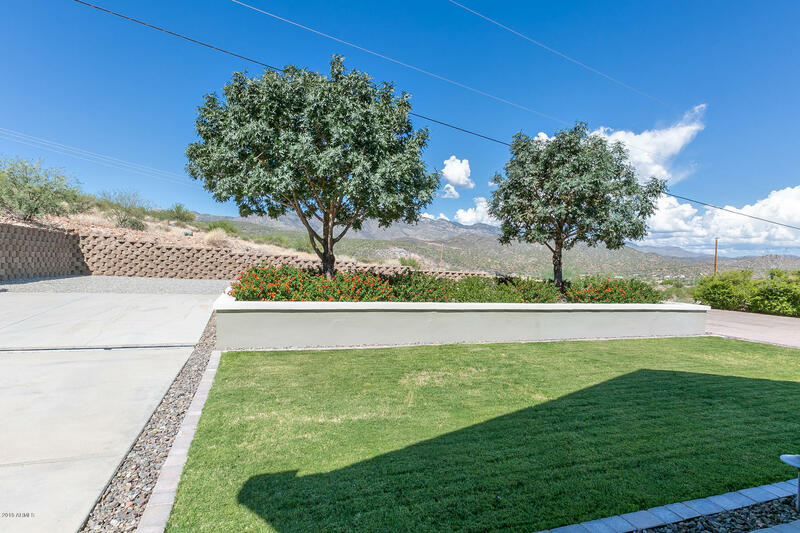 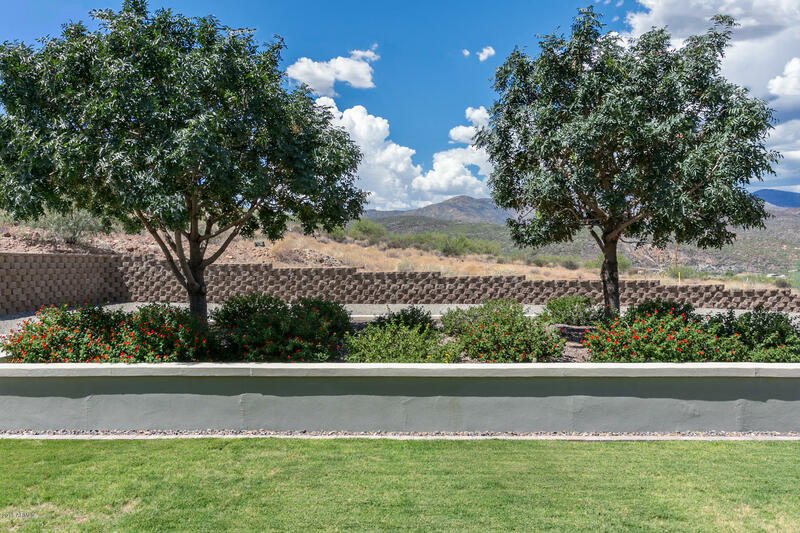 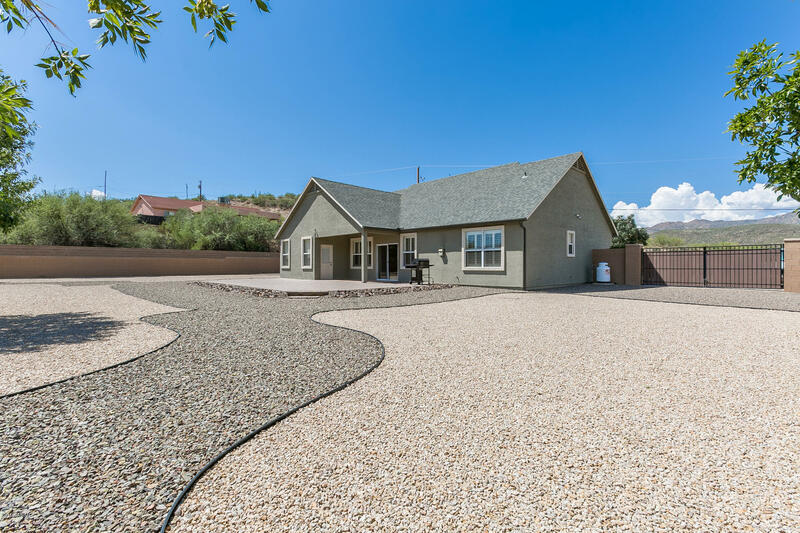 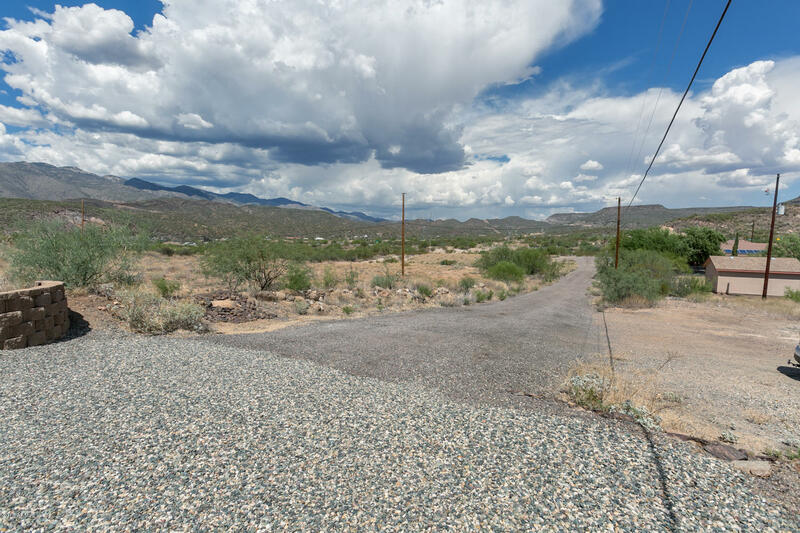 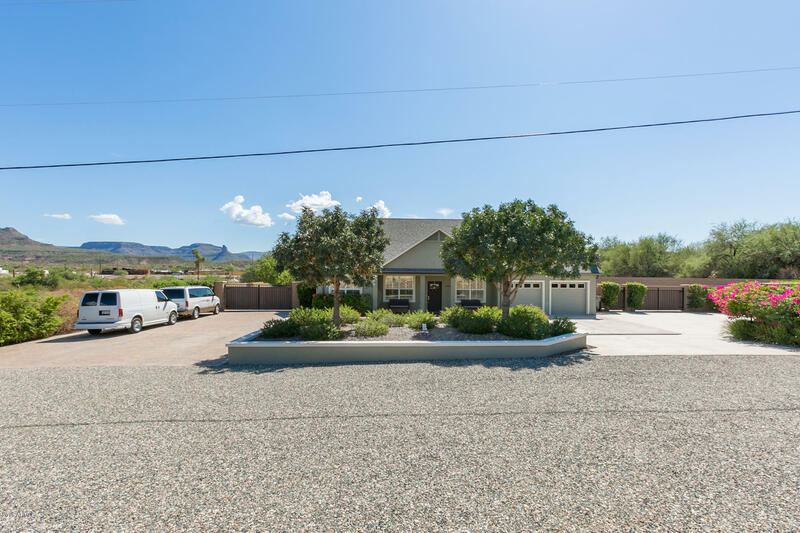 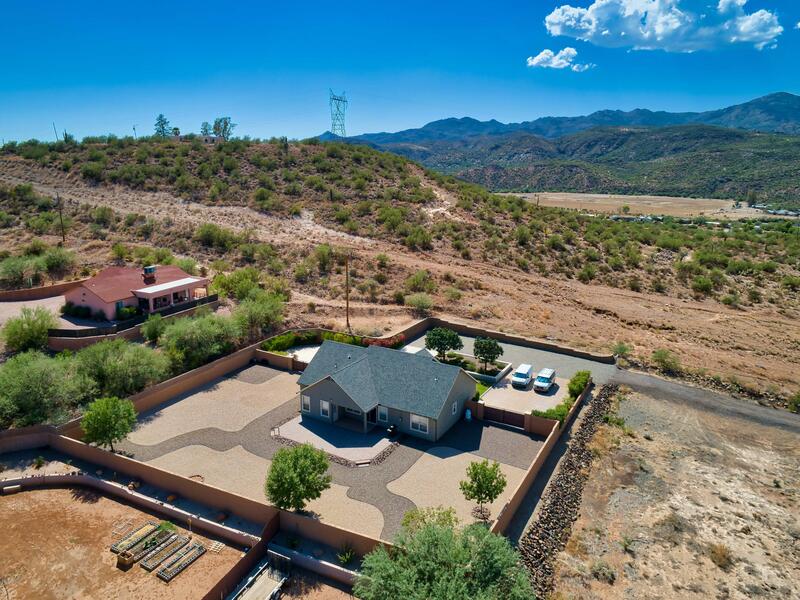 Surrounded by mountain views on a 1/2 acre lot, this custom home features a kitchen with granite countertops, mosaic backsplash, stainless appliances, custom cabinetry, pantry and breakfast bar. 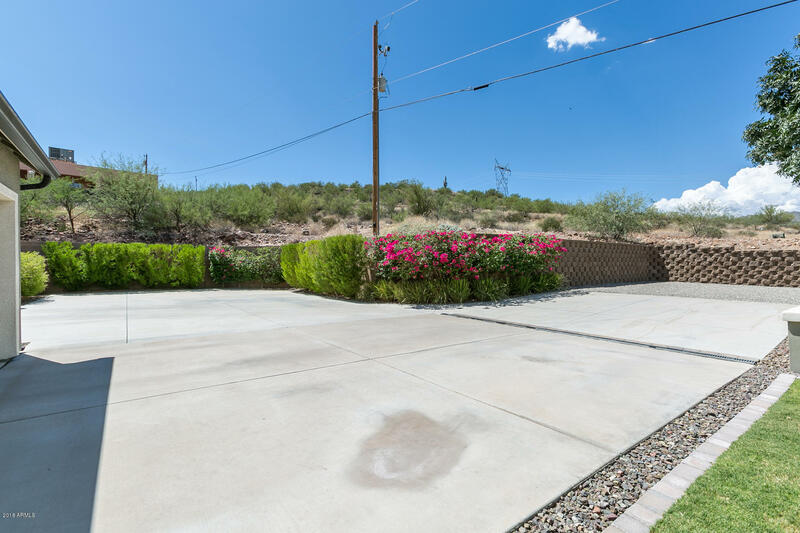 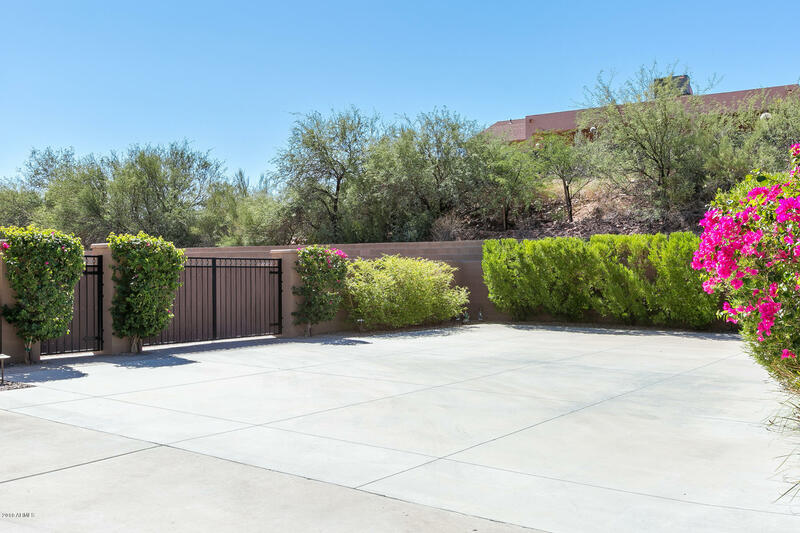 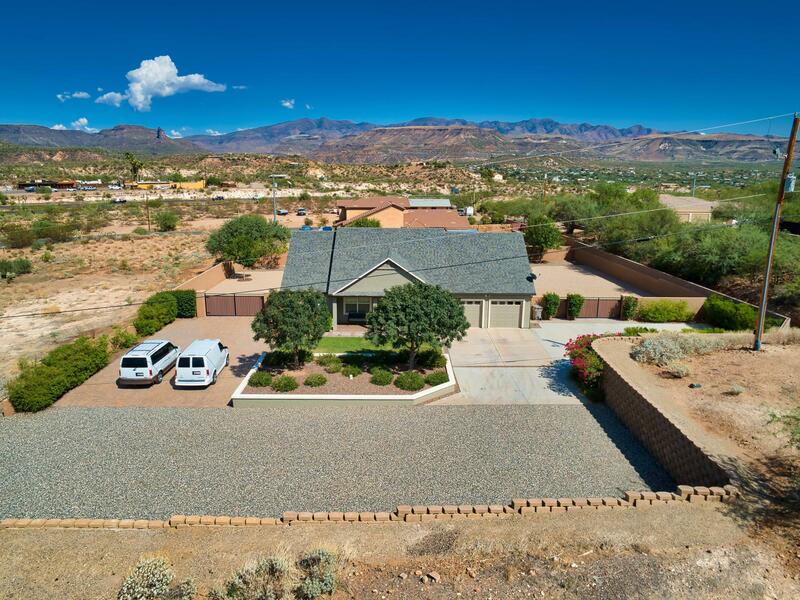 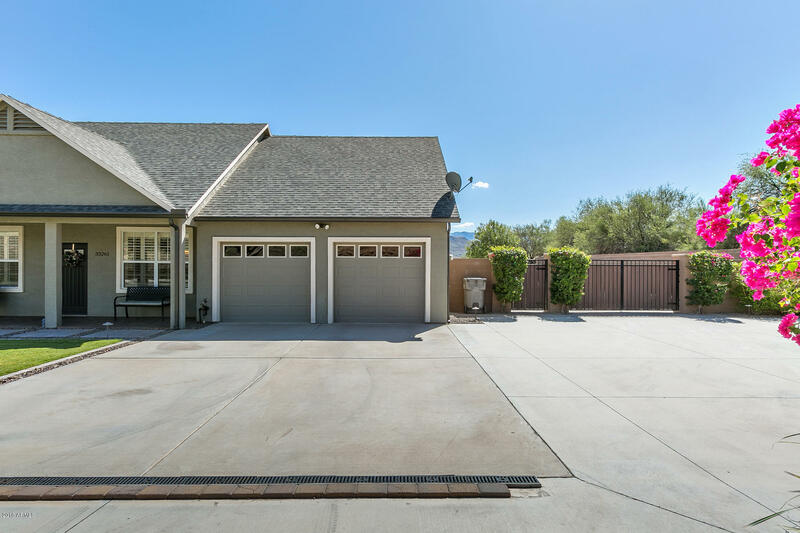 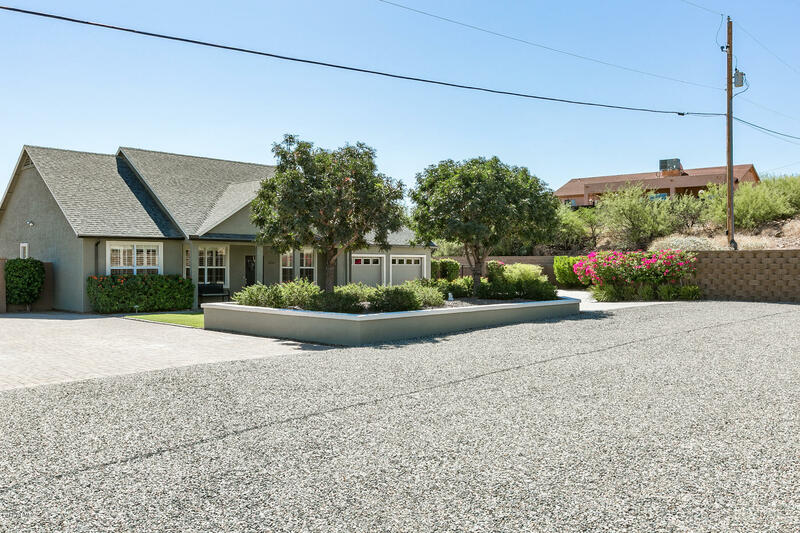 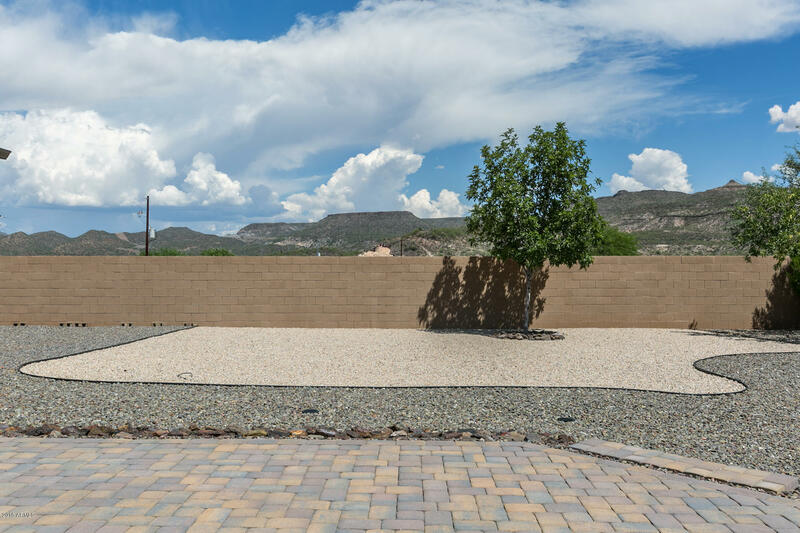 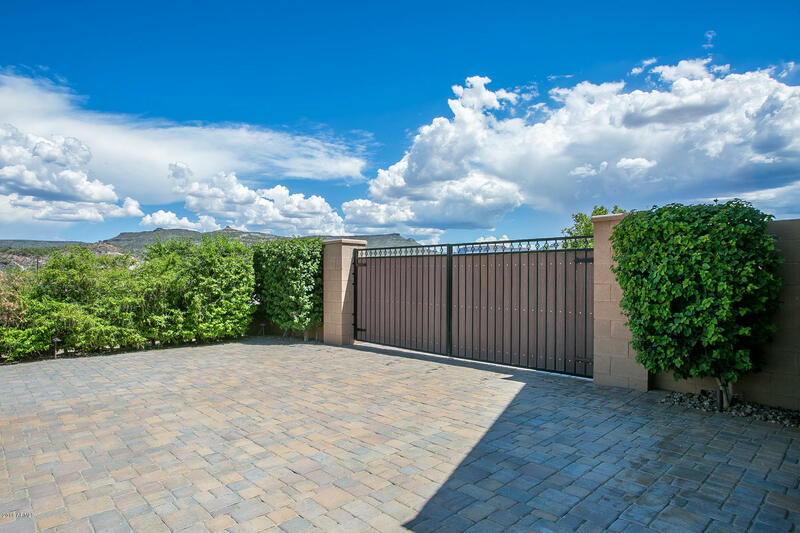 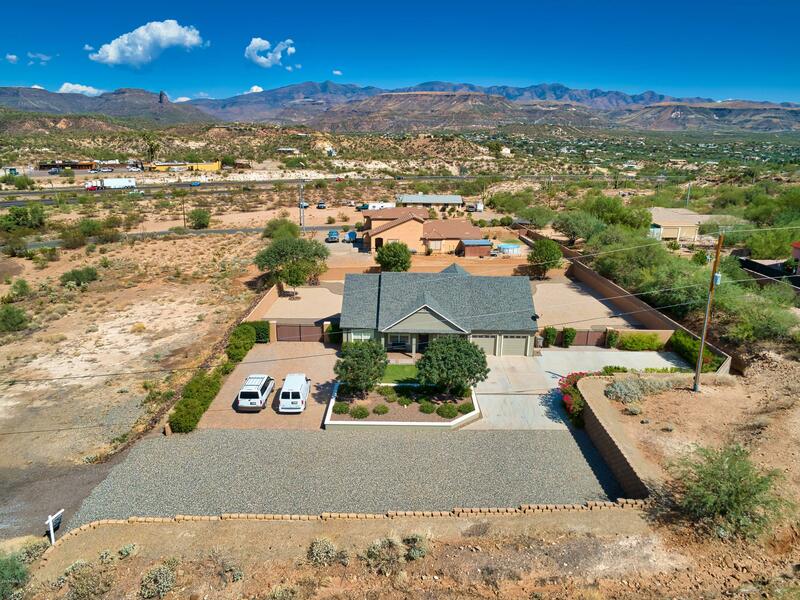 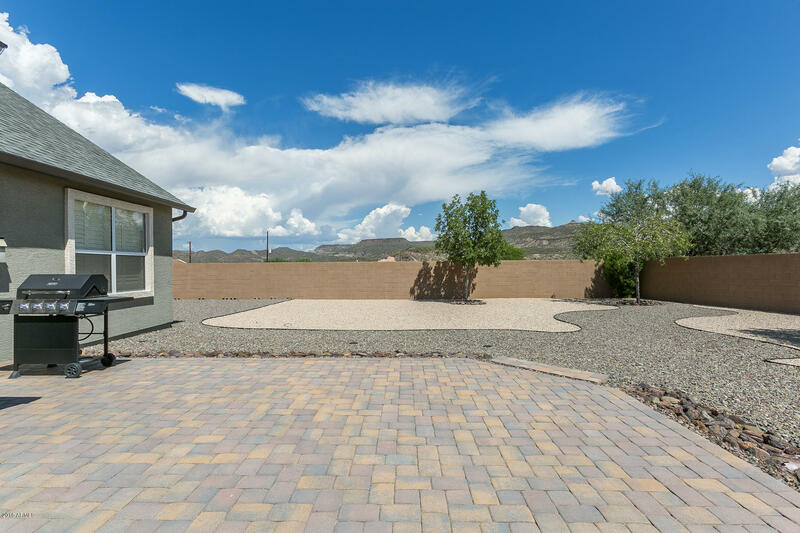 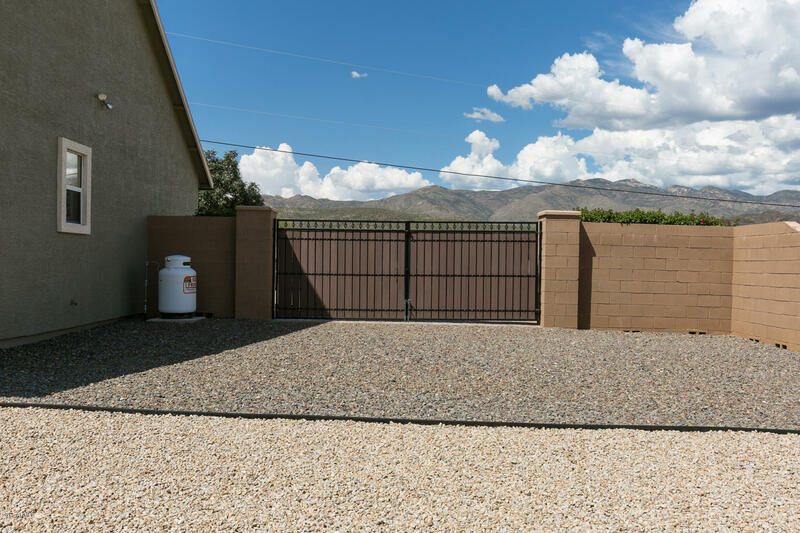 Outside, you will find a 2-car garage with 1 paver and 1 concrete driveway, 2 RV gates, RV parking/hookups, covered patio with views and fantastic landscaping! 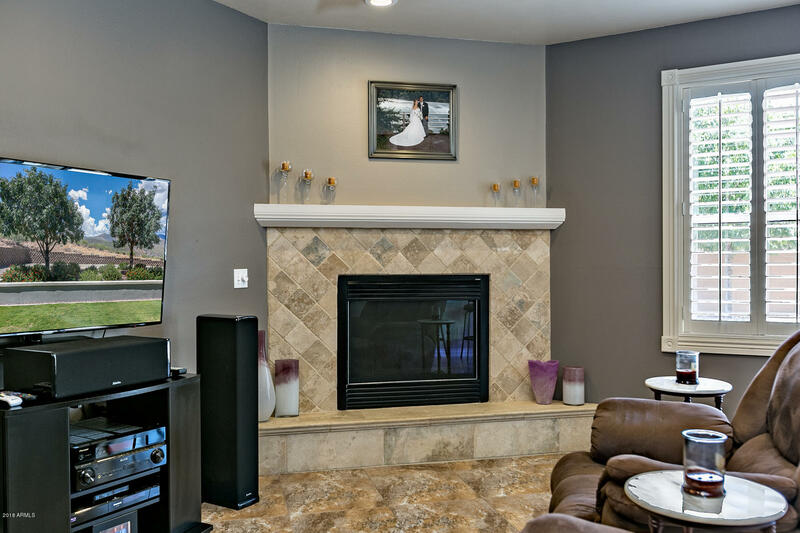 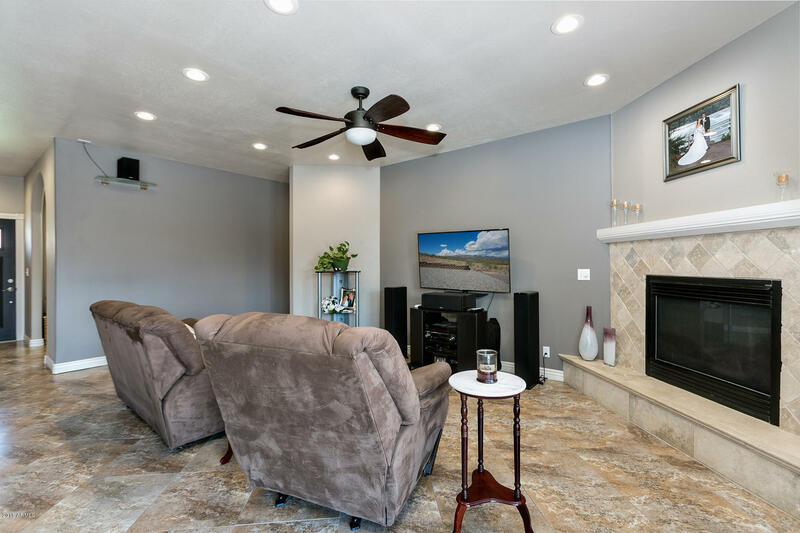 A focal point for the Great Room is the stone tile gas fireplace for chilly winter mornings and nights. 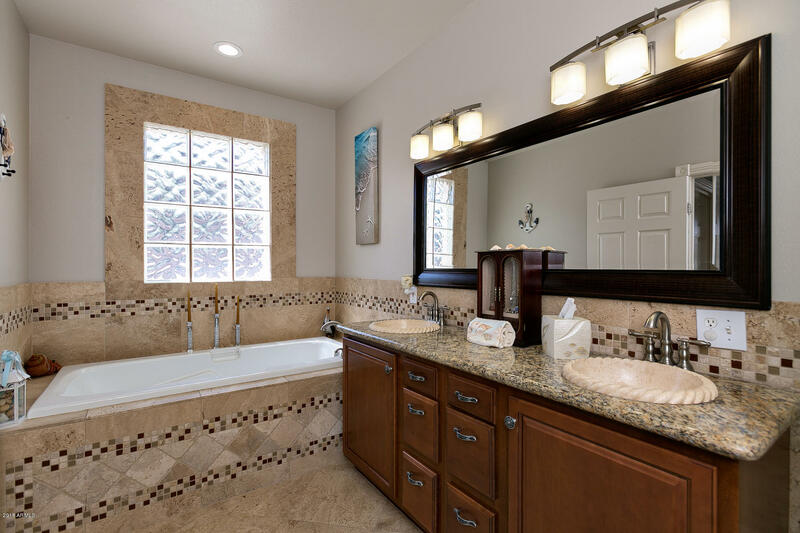 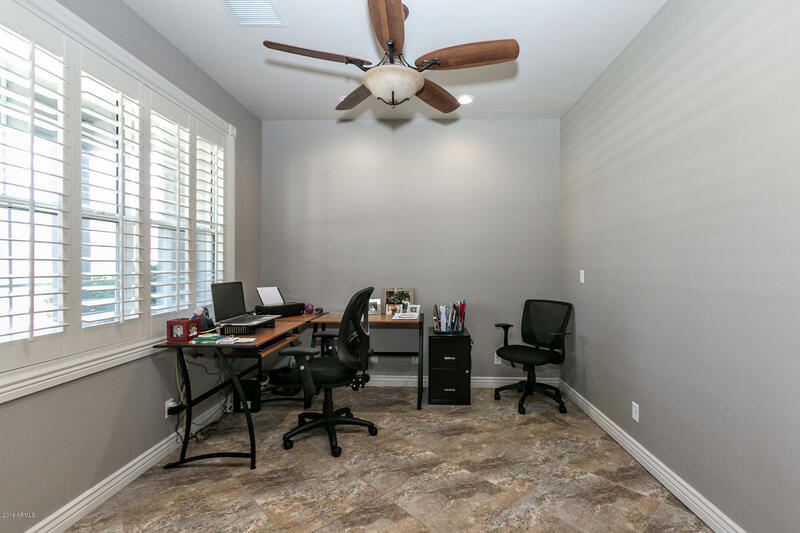 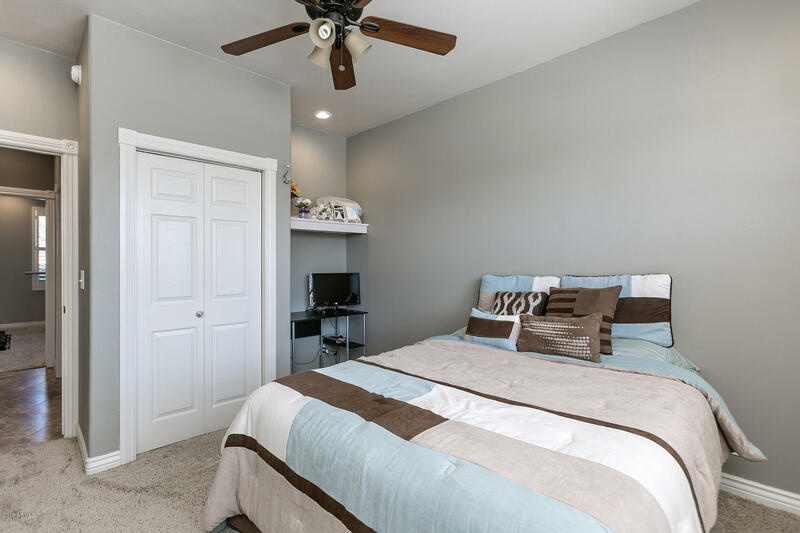 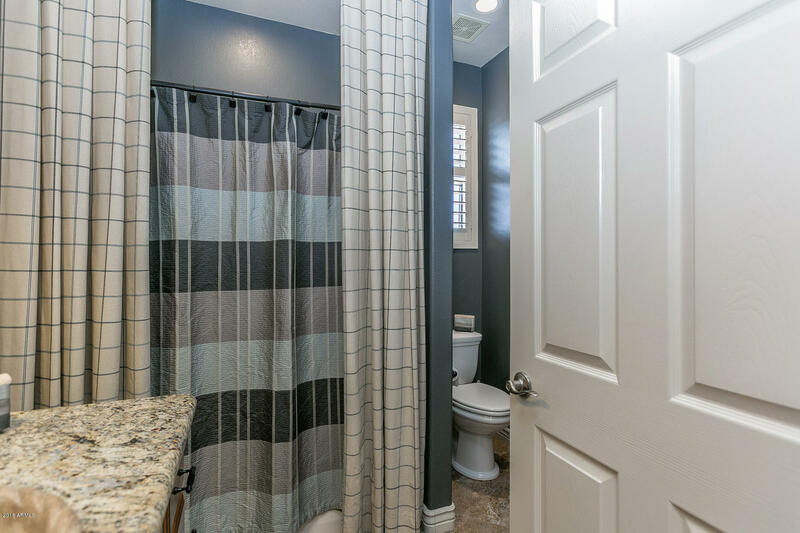 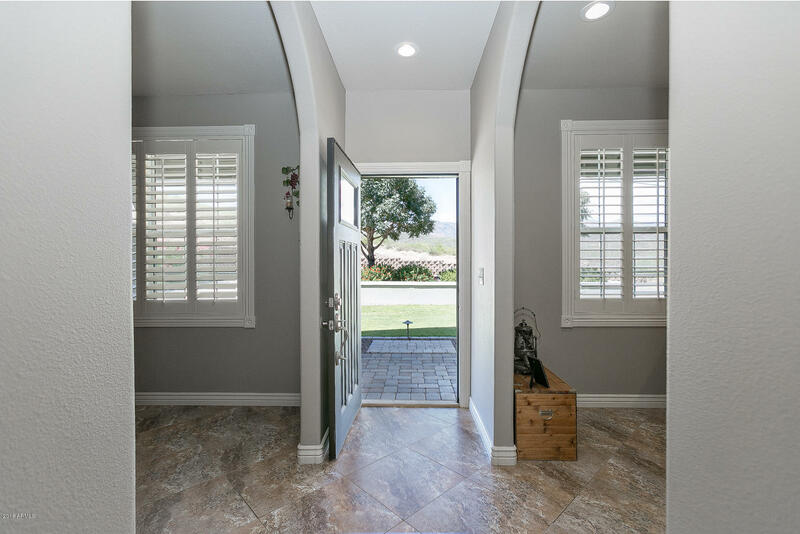 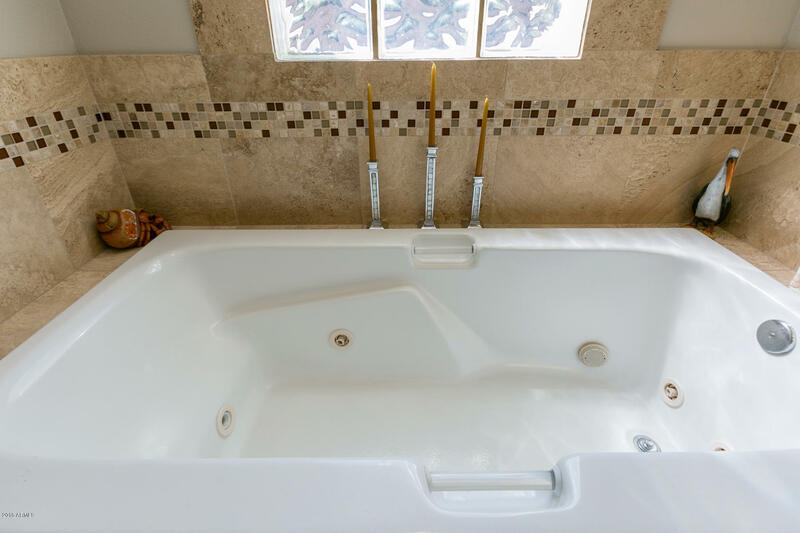 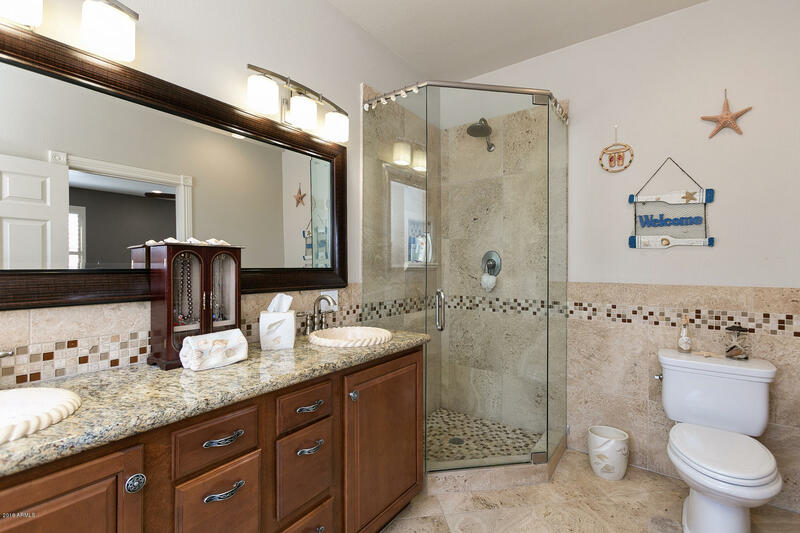 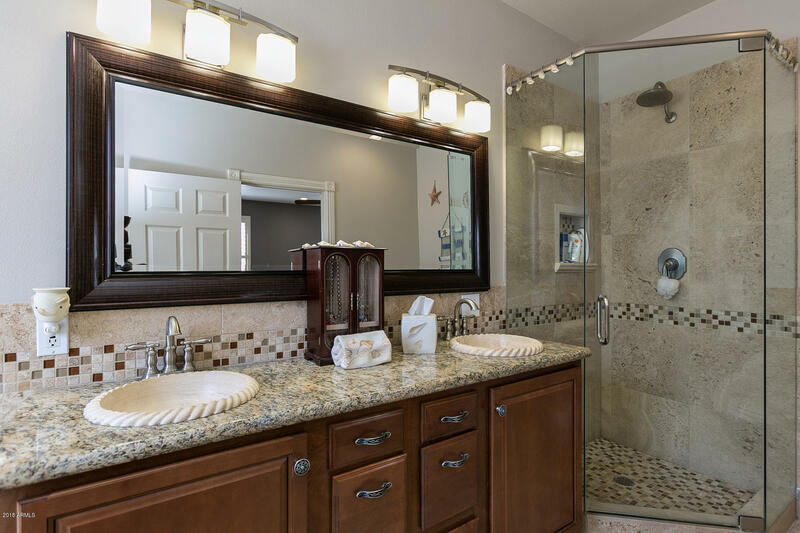 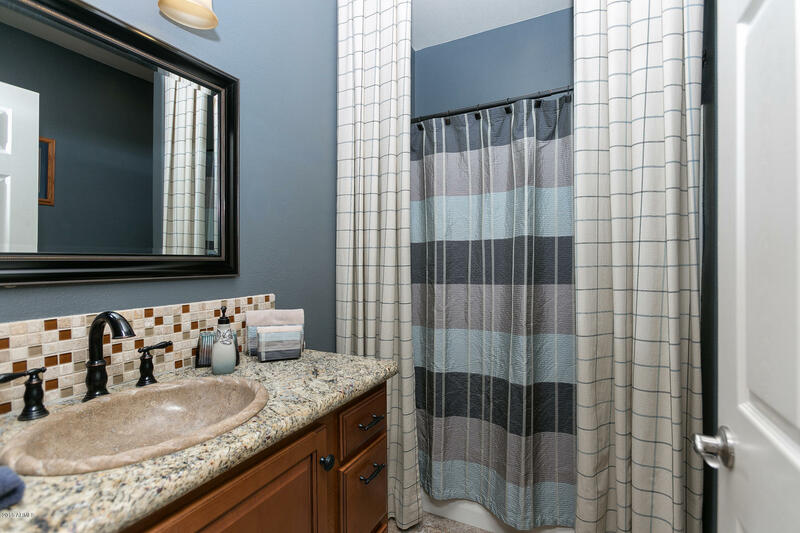 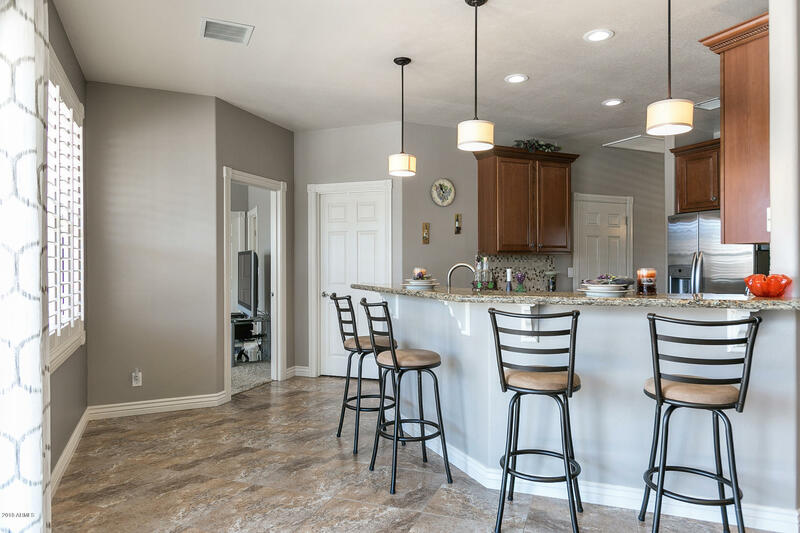 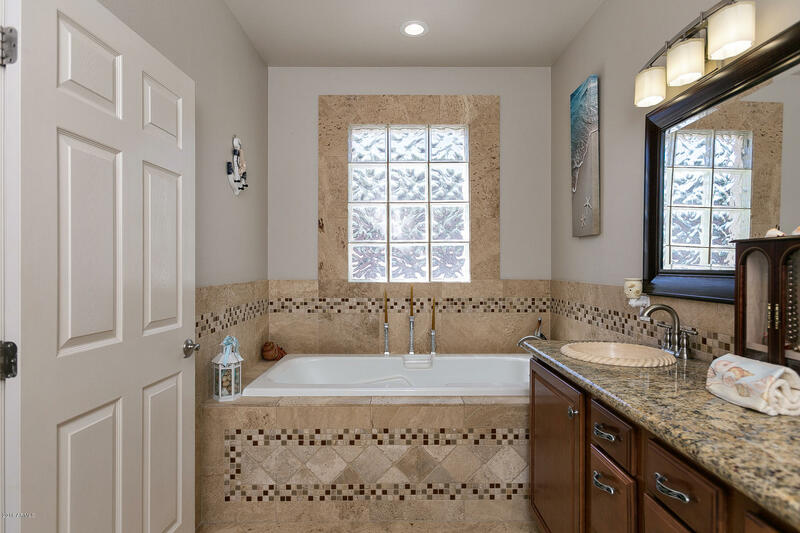 Master is split and includes a walk-in closet, separate exterior exit, jetted tub, walk-in shower & dual sinks all with travertine and mosaic surrounds. 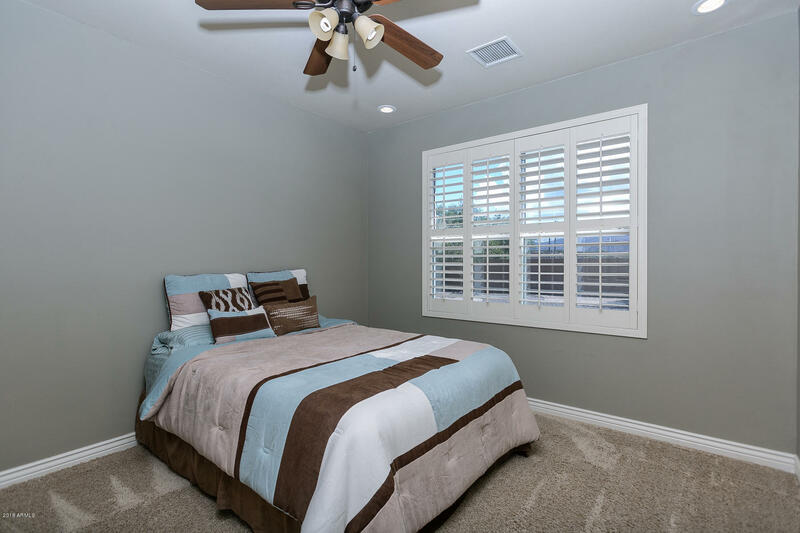 Plantation shutters, ceiling fans, newer Trane AC, RO, water softener.